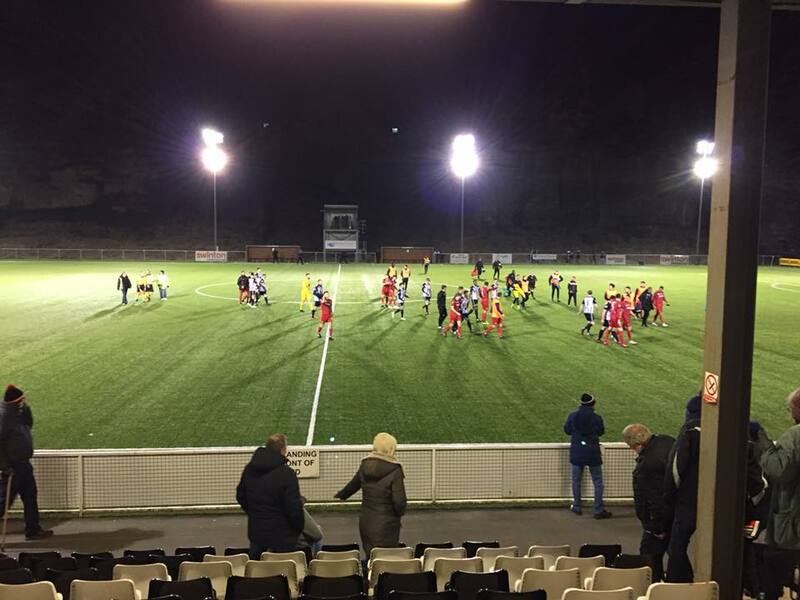 A 90th minute equaliser from Luke Boundford denies Cefn Druids the three points as the Robins take a share of the points in the JD Welsh Premier League. The hosts took the lead 32 minutes in from James Davies after he held his cool against Dave Jones. But Davies’ opening goal was denied by Luke Boundford’s last minute equaliser to reward both teams a point each on Friday night at the Rock. The draw keeps the Robins in 4th place with 20 points after Friday’s results in the league and are currently joint with Bala Town but the lakesiders do have a game in hand. Newtown manager Chris Hughes made 5 changes after the midweek defeat at Cambrian & Clydach in the Nathaniel MG Cup. The faces of Steve Leslie, Sam Phillips, Tom Goodwin, Jake Cook and Jack Perry were placed on the bench while Dave Jones returned in goal while Callum Roberts, Jay Denny, Neil Mitchell and Luke Boundford also returned to the starting line-up. The Reds were going into Friday night’s match 4th in the Welsh Premier League table after a decent draw (1-1) against The New Saints, the division champions. Druids started the game 8 points behind Newtown in 9th position. From kick-off Newtown already showed signs for their first goal of the night. The first chance had Neil Mitchell cross a dangerous ball in but Druids’ goalkeeper, Michael Jones, comfortably stopped the threat. Just seconds later and the ball was on the other side of the pitch with Ryan Kershaw picking up the ball in Robins’ penalty area but skied his shot over the bar. A similar effort arrived seven minutes in when Arkadiusz Piskorski put his effort over the bar after intercepting a loose ball in the Newtown box. Both teams trying to get themselves warmed up with an early goal. Despite the early chances from Druids, the visitors started to get quite comfortable at the Rock when Nick Rushton was at close range but miss kicked his attempt at the near post. But the best chance of the first half came from the club captain, Craig Williams, who struck the post after getting past his man and placing the ball past the keeper but the goal frame got in the way. When the game reached the 20th minute mark, Callum Roberts fancied his chances to put Newtown into the lead with a low strike but the lack of power was no challenge for the keeper. Then the reds found themselves a goal behind after 32 minutes when James Davies slotted home the opening goal of the game. Davies picked up a pin point low through ball before swiping his shot underneath the keeper to find the back of the net. It was nearly two goals in a matter of seconds for Davies. Straight from the restart he went 1 on 1 with Jones and then lobbed the ball over the keeper and luckily it stayed over the bar. Fortunately for Chris Hughes’ men, his side were only1-0 down going into half time despite the chances that they had created. The second half began with Newtown on the get go as Neil Mitchell displayed a threatening run into the Druids box but his low drive was blocked by the goalkeeper and seconds later placed a header straight towards the goal stopper. The luck was starting to turn for the visitors as 8 minutes after the interval saw Newtown given a penalty kick. Alex Fletcher sadly did not step up to the plate on this occasion as his kick struck the crossbar. The final third and the crossbar really were the devils on Friday night. Davies caused us problems once again. This time he found himself 1 on 1 with Jones but the keeper made sure he wasn’t beaten this time by saving Davies’ shot with a leg block. Newtown kept fighting for that equalizer with Druids thinking that they might have just done enough to win the three points. But when the match clock reached 90, A superb cross from Mitchell picked out Boundford who would header home the equalizer. They finally got their goal that they so deserved. Even though the 4th official added four more minutes to injury time, the match finished at 1-1. 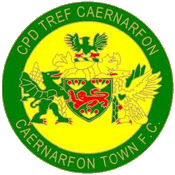 Cefn Druids: M. Jones © (GK), N. Arsan, N. Peate, M. Owen, A. Mudimu, D. Rittenberg, J. Davies, R. Kershaw, A. Simpson, A. Piskorski (88’ J. Evans), A. Morris. Substitutes: M. Samassa, J. Evans, J. Thompson, F. Hajdari, I Ap Gareth. The Robins: D. Jones (GK), T. Williams ©, Mills-Evans, B. Bailey, C. Roberts, A. Fletcher, J. Denny (82’ S. Phillips), N. Mitchell, J. Kenton (66’ S. Leslie), L. Boundford, N. Rushton. Substitutes: S. Leslie, S. Phillips, T. Goodwin, J. Cook, J. Perry, W. Evans.